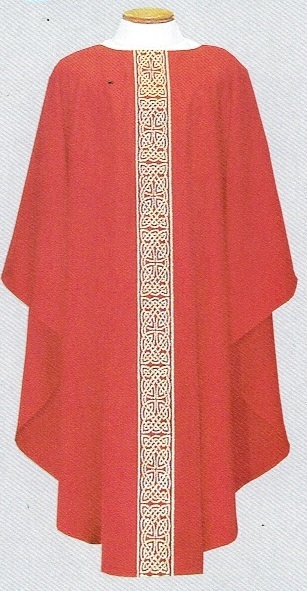 Ample Cut Chasuble (also available as a Dalmatic), tailored in Easy Care 100% Polyester Linen Weave Fabric. Also available in Off-White, Kelly Green and Purple. This vestment can be made with a 3-1/2" Rolled Collar for an extra charge.